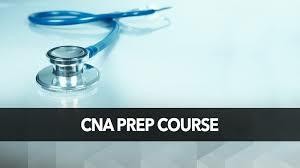 This CNA Exam Prep Course is to aid you in challenging the STATE OF FLORIDA CNA Exam and does not certify you as a Certified Nursing Assistant (CNA). You must pass the Florida CNA Exam administered by the State of Florida to become licensed. EEI prepares students to pass the Florida’s Board of Nursing assistant state exam. This course prepares students to challenge the nursing assistant competency exam in Florida. This fast paced course provides the student an opportunity to review essential materials and practice necessary patient care skills. Students will also complete practice written exams. Once a student has completed this course they will have the option to apply for and challenge the exam to become a Certified Nursing Assistant. Ready to register? Click here to be directed to our secure shopping cart. EEI is institutionally accredited by the Accrediting Bureau of Health Education Schools (ABHES) . The Accrediting Bureau of Health Education Schools (ABHES) is recognized by the U.S. Secretary of Education as a national accrediting agency for the accreditation of private, postsecondary institutions in the United States offering predominantly allied health education programs.Our superb staff and skilled instructors of active Paramedics, RN’s and Physicians offer you the most up-to-date program material you can receive! We are leaders in EMS Education and our students graduate with the tools they need to succeed. (One block south of Sample Rd.